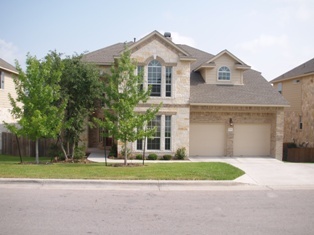 We have definitely hit the “hot season” for residential real estate in Austin Texas. While the number of single-family homes sold within the Austin city limits was down 28% in April 2009 compared to April 2008, we have experienced a seasonal monthly increase in homes sold each month since January 2009 as you can see in the below bar chart. Sold prices have seen an overall decrease of 3.4% in April 2009 compared to April 2008, but the supply of homes available for sale has decreased by 9% to 4.4 months of inventory. The Austin unemployment rate in March 2009 was down to 6.2% from 6.3% in February 2009, showing signs of stability leading into the summer. The March 2009 Austin unemployment rate is lower than both the State of Texas (6.7%) and the U.S.